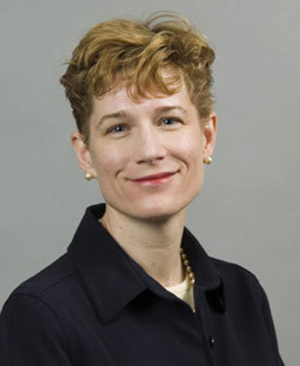 Linda Przybyszewski, associate professor in Notre Dame’s Department of History, has received the Hughes-Gossett Award for best article published in the Journal of Supreme Court History. Justice Sonia Sotomayor presented the award to Przybyszewski at the Supreme Court Historical Society’s annual meeting on June 4 in Washington, D.C. The article, “Scarlet Fever, Stanley Matthews, and the Cincinnati Bible Wars,” focuses on Matthews’ religious conversion to Presbyterianism after the death of four of his children and the influence that conversion had on his legal arguments. Matthews served as a litigator for the Cincinnati School Board in an 1869 case brought against it for stopping daily readings of the Protestant Bible in the classroom. At the time, a large number of Catholics had immigrated to the city, and the school board changed the practice to ensure that children of all faiths felt welcome in the public schools. Matthews, who went on to become an associate justice on the U.S. Supreme Court, successfully argued for religious liberty. That argument was even more powerful because of his faith, Przybyszewski said. The article stems from Przybyszewski’s research for an upcoming book on the Bible wars, for which she received an NEH Public Scholar grant. Przybyszewski, who is also an award-winning seamstress, plans to return to the topic of fashion for her next project — a history of the American dress.Her previous books include The Republic According to John Marshall Harlan, a biography of the Supreme Court justice best known for condemning racial segregation in 1896; and most recently, The Lost Art of Dress, a New York Times bestseller on the history of fashion. After that, she hopes to revisit Matthews in more depth. Originally published by Carrie Gates at al.nd.edu on July 19, 2018.